the Rambling House Music Bar, 310 E Hudson St Cbus 43202 in the Old North. Thanks to our friends at SwingColumbus and CBal for helping out + joining in. As always 100% FREE and open to the public! NEW PLAYERS, please feel free to bring your instrument and join us for a low-pressure and learning-friendly set right at 7:30. This first set of the night will feature songs that are friendly for beginners, and backed by seasoned pros. Hit up our Learn+Play It page for some tips on how this works, links to fake books and lead sheets, and more. Interested but not sure if it's for you? Go here for videos of jams, how it works, + more info. We're bringing in the High Street Stompers, a powerhouse hometown favorite we haven't heard for a while. Now with New Orleans born + bred Milo Mannino on the trumpet, very ably filling the very big shoes of the recently retired Tom Battenburg! Formed in 1987 when all the original members were Professors in the School of Music at The Ohio State University, this is one of the most polished trad jazz bands anywhere. Jim Rupp, drums (toured with Woody Herman, Maynard Ferguson, and Glenn Miller). Sept 15 + Oct 27, 2 - 5 pm at the Clintonville Woman's Club. Nov 24, 1:30 - 6:30 at the Makoy Center. We could sure use your support to hire these musicians + the venue! Please consider joining or renewing RIGHT NOW ONLINE or at the door. Your membership support is VITAL to making COHJS events happen, and offering decent compensation to the musicians who learn + share this great music. Door admissions usually cover maybe 35-45% of the cost of a show. Most of the rest comes from memberships, and a bit more from The Columbus Foundation grant and Ohio Living's sponsorship. For $20 a year you get $5 off the regular show admission and our newsletter - - but what you really get is doing your bit to keep hot jazz and dance live + local! 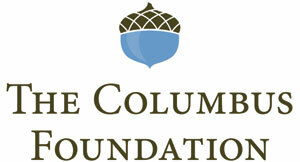 COJHS is grateful for the generous support of The Columbus Foundation Community Arts Fund and the Ingram-White Castle Foundation. 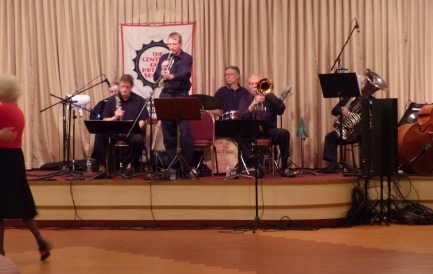 The Central Ohio Hot Jazz Society is a 501(c)3 non-profit corporation dedicated to enjoying and sharing traditional American jazz of the early 20th century. Comes in many styles and called by many names - traditional jazz, Dixieland jazz, classic jazz, hot jazz, New Orleans style jazz ... or San Francisco, Chicago, Kansas City, New York style jazz. We LISTEN, PLAY, + DANCE to it, especially LIVE and NEAR HOME!